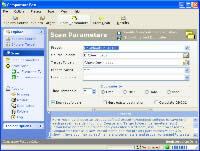 MailScan for MDaemon - MailScan is an antivirus solution designed to protect against email viruses. Get Tiffany - Online multiplayer game community about trying to win the attention of Tiffany. Wallpaper Venice Carnival 800x600 Volume1.0 - 12 great wallpaper 800x600 on Venice Carnival. Shutdown Manager - Shutdown Manager with many add-ons and Tools ! Snowflake 3D - Relax with a soothing snowy landscape on your desktop with this screensaver.